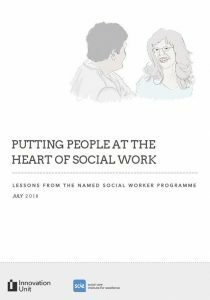 This week sees the launch of the final publications of the Named Social Worker programme, launched by the Department of Health and Social Care two years ago and involving nine local authorities from across England over its two phases. Next week, on 31 July at 12.30pm we’ll be holding a webinar to share what we’ve learned through the programme and to explore what it means for other local areas looking to take on similar approaches. I’d really encourage you to join us. The programme, which was led by Innovation Unit and SCIE, has focused on testing ways to give people with learning disabilities, autism and mental health needs a stronger voice. It had done this by designating a social worker to be their key point of contact. 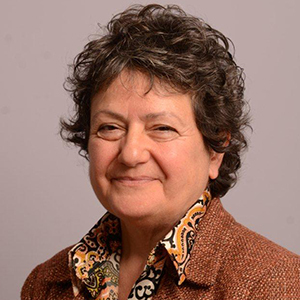 Professionally, it has helped to build social workers' skills and confidence to serve people in the most holistic, tailored and helpful way possible. We did not prescribe a set model, instead, we invited sites to shape their approaches building on local practice, initiatives and challenges. Whilst it takes time before shifts in practice bear fruit in the longer term, the evaluation found that people felt more supported and involved in shaping their plans and support for the future. In a number of examples, and in very short periods of time, this has led to positive outcomes such as more rapid discharges from institutional settings and placements, and arrangements being sustained where they were previously breaking down. Moreover, social workers expressed high levels of satisfaction, reporting that they are happier with the way they work with people. They also feel that their role and credibility as social work professionals is better recognised by colleagues in other services. These social workers are raising the ambition for ‘good social work’ and helping to increase its profile, both with people who use services and with other professionals. Finally, we are starting to see an economic case building that tells us that creating conditions for meaningful relationships, earlier on, can be a wise system-wide investment and not an unaffordable luxury. importance of communication and collaboration with colleagues in other services, and social workers' roles as advocates for the people they support. At a policy level too, there are a number of lessons from the NSW programme that are highly relevant to other crucial integrated care questions. For example, how are we going to work collaboratively to ensure that transitions into adulthood for young people with learning disabilities are as seamless and empowering as possible? I believe that social workers and good social work practice have a fundamental role to play in putting person-centred care at the very heart of these important initiatives. We do this by modelling and championing social work in multidisciplinary professional contexts. This is my ambition. I hope that the lessons from the NSW programme will resonate with our many resilient, passionate and creative social workers, service and system leaders as they take on our public services many challenges. Thank you this is good and constructive. You may see this is just a niche in the landscape of social care and health i would like to see some insight into the needs and aspirations of people ageing with a significant physical disability being developed. I am now entering my 60th year paralysed from the chest I am starting my 73rd year. Reflecting on this over the last year so it's a very different journey than I expected. I find the skills's quite significant. There is clearly very active real help as well but it's difficult being see how somebody you the ending their journey rather than having a continuum of the journey.